What is a Big Bang Critique and what do you get? Usually Mira Reisberg only does critiques as part of the course she is teaching, but starting October 24th through the end of the year, she is offering what she calls her Big Bang critiques complete with Payment Plans and a discounted rate. Read on to find out more. Whether you need help with your characters, plotting, pacing, language, beginnings, endings, middles, titles, how and where to submit, or portfolio or website makeovers, join the many beginning and established writers and illustrators who have had critiques with Dr. Mira who are now published, agented, or closer to it. Mira will work WITH you to help you craft the most compelling submission possible in the time available, doing line edits right in front of you, and art makeovers to locate and heighten the drama, humor, and/or emotional core of your story or art. Click the Smart Fox image link above to register now! 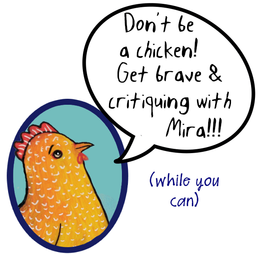 Mira would love to help you do extraordinary things!! Worried about money? We have payment plans! And for only $197 using the ILOVEKidLit Promo code - this is a steal! WHAT WILL HAPPEN AFTER YOU REGISTER? You will receive a link to an easy online calendar in your time zone where you can schedule your consultation at a time that works for you. You'll also receive instructions on where to send your materials ahead of your appointment time along with contact information in case you have any problems. WHY THE BIG BANG CRITIQUE? The Big Bang was a huge moment in our universe's history (plus it sounds great with all that alliteration) and many students have described having HUGE breakthroughs with Mira's critiques. Plus you get a huge amount of bang for your buck in these critiques, so we decided to call these critiques... The Big Bang Critiques! Once you receive one of these, we think that you'll agree. Mira is the only person in the industry who has worked professionally as an editor, art director, designer, former literary agent, and PhD children's literature and art education professor. She is also an award-winning writer and illustrator. In addition, Mira is the founder and director of the Children's Book Academy. Over the past 28 years, Mira has seen tremendous changes in the industry that she has devoted her life to. She is a lifelong learner and researcher aware of current and past trends in the field and how they affect what is getting acquired now. Anyone who has taken one of her courses or critiques knows that she brings those years of experience and passion into everything she does. Mira has a proven track-record. Her former students have sold millions of books. And here's that magic link again! 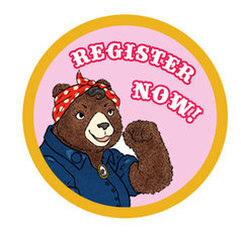 Just click here to register. She promises to amaze you!